We are a family of 7 and many of us have food allergies. That being said, we require a refrigerator, microwave and sometimes more space (a kitchen if available), etc. But, if you’ve booked a hotel room lately you know, those upgrades are costly! A few years ago, I learned a trick about getting those upgrades. I book the normal room then, simply ask if a refrigerator can be rolled into the room or an extra bed, etc. Almost every single time, those items can be added at no additional cost, that’s HUGE! When my husband and I travel, we love getting suites but we don’t like paying for them. Want to know my number one way to get a FREE upgraded room at a hotel? When I say upgrade I’m talking about SERIOUS upgrade. Are you ready for this? Here it is: Ask for it. Book the hotel as usual, using whatever means you normally use to book a good deal on a room. Then, arrive at the hotel and ask if there are any suites available. I would say 9 times out of 10, we are upgraded at no cost. Typically the only reason we are not upgraded is because the hotel is full. A few weeks ago, I booked a hotel room and wanted to go ahead and spend the $50 to upgrade to the suite. I talked myself out of it, booked the regular room, got to the hotel and asked if they had suites available. I was upgraded to the suite I wanted to book at no extra cost. For our honeymoon, we booked the $99 room at a hotel in Florida (it was the off season). When we arrived, we asked if the honeymoon suite was available (around $399 a night) and guess what? It was. We were upgraded for free for the entire time of our stay. Are you ready for summer? I know what you’re thinking, “Um, it’s only spring break!” True. 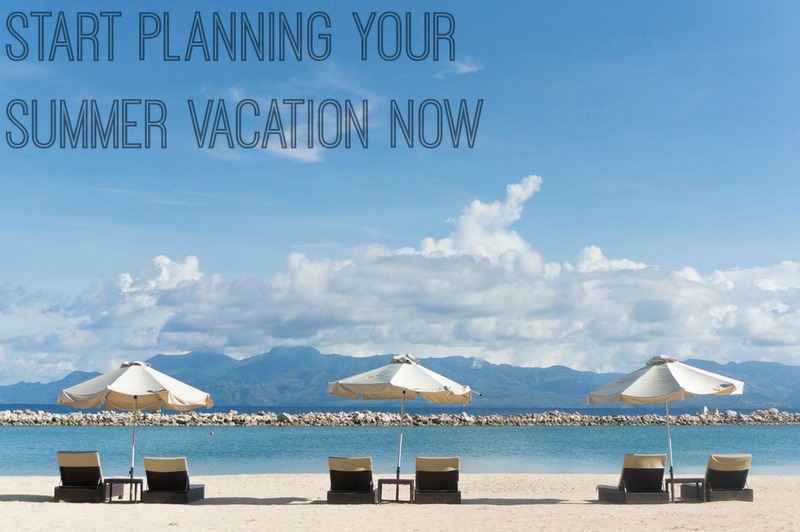 But, if you’re looking to save money at all this summer, planning in advance is key. I say that seriously, I’m actually not a planner at all but I do know if I don’t think about the summer right now, I’ll pay for all my last minuteness later. 1. Book the Lodging: Whatever you are booking (but this applies to vacation homes more than anything), book it now. You can save money on last minute rentals but you also end up with a poor selection that could end you in a more expensive option. Now is the time to book the condo you’ve been looking at and ask for a discount BEFORE you book it. Call or e-mail them directly and ask if there are any rate discounts for special memberships like AAA but also if you’re renting for several days. Many will discount the longer you stay. 2. Plan the Restaurants: Go ahead and get to googling the nearby restaurants of your hotel. Find out what options are available and then, purchase discounted gift cards. This might be one of my biggest tips, scan the restaurants right now and purchase gift cards for those restaurants at a fraction of the price. Then, when you take your trip, you’ll not only have saved money but you’ll also have gift cards loaded and ready to go which means less out of pocket at the moment you eat too. 3. Plan a Multifamily Trip: Ok, this only works if you like your family and/or friends. Sharing a condo or a house with another family will drastically reduce expenses. You’ll have a blast (ideally) and save money at the same time. Be sure to talk this one out thoroughly with the other family including expectations so no one is disappointed. I’ve done this myself and it’s a blast with the right family! Again, the key to saving on your summer trip is planning EARLY. Get started now and bring on summer!